This article is about the Mamluk sultan. For the Zaidi imam of Yemen, see An-Nasir Muhammad (Zaidi imam). Al-Malik an-Nasir Nasir ad-Din Muhammad ibn Qalawun (Arabic: الملك الناصر ناصر الدين محمد بن قلاوون‎), commonly known as an-Nasir Muhammad (Arabic: الناصر محمد‎), or by his kunya: Abu al-Ma'ali (أبو المعالى) or as Ibn Qalawun (1285–1341) was the ninth Bahri Mamluk sultan of Egypt who ruled for three reigns: December 1293–December 1294, 1299–1309, and 1310 until his death in 1341. An-Nasir Muhammad was born and died in Cairo. He was the youngest son of Sultan Qalawun and the brother of Sultan Al-Ashraf Khalil. He was born in Cairo at Qal'at al-Jabal (Citadel of the Mountain). His father was of Turkic origin from Kipchak tribe and his mother was of Mongol origin. Al-Nasir Mohammad married a Turkic woman Khawand Toghay, who started as his slave but was freed by him. She gave birth to Prince Anook. His reign was in three stages, as he was deposed twice during his reign. 1294, an-Nasir exiled to Karak. After the assassination of al-Ashraf Khalil in December 1293, he was installed as sultan with Zayn-ad-Din Kitbugha as the regent and vice-sultan and Emir Sanjar al-Shuja'i as vizier. As an-Nasir was only 9-years-old, he was a sultan in name only. Kitbugha and al-Shuja'i were the actual rulers of Egypt. The two emirs, Kitbugha, who was of Mongol origin, and Sanjar al-Shuja'i, who was of Turkic origin, were rivals and did not get on with each other. Sanjar al-Shujai, with the support of the Burji Mamluks, planned to arrest Kitbugha and assassinate his emirs but Kitbugha laid siege to the Citadel and the conflict ended with the murder of al-Shuja'i and the removal of the Burjis from the Citadel. When Emir Hussam ad-Din Lajin, who had fled after the murder of al-Ashraf Khalil, returned to Cairo, the Burji Mamluks, who were known as the al-Mamalik al-Ashrafiyah Khalil (Mamluks of al-Ashraf Khalil) and who were removed from the citadel by Kitbugha, rebelled and went on a rampage in Cairo because Lajin had not been arrested and punished for his involvement in the murder of their benefactor Sultan al-Ashraf Khalil. The Ashrafiyah were defeated and many of them were killed and executed. Lajin convinced Kitbugha to depose an-Nasir Muhammad and install himself as sultan after he warned him that the Ashrafiyah and an-Nasir would seek revenge for the murder of Khalil in which Kitbugha had been involved. Kitbugha deposed an-Nasir Muhammad and installed himself sultan with Lajin as his vice-sultan. An-Nasir, who was by now 10 years old, was removed with his mother to another section in the palace where they stayed until they were sent to Karak thus ending the first reign of an-Nasir Muhammad. In 1296 Kitbugha was deposed by his vice-Sultan Lajin and he fled to Syria and died in 1297 while holding the post of the governor of Hama. Lajin ruled as a sultan until he was murdered with his vice-sultan Mangu-Temur in 1299 by a group of Emirs led by Saif al-Din Kirji. 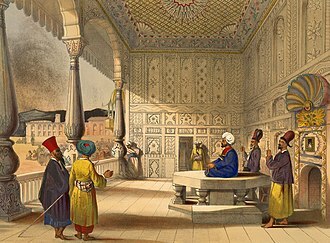 After the murder of Lajin and his vice-Sultan, the Emirs, including al-Baibars al-Jashnakir , assembled and decided to call an-Nasir Muhammad from Karak and re-install him as sultan with Emir Taghji Vice-Sultan. But the recall of an-Nasir was delayed for some time as Emir Kirji, who murdered Lajin, and the Ashrafiyah Emirs insisted that Taghji should become the sultan and Kirji be the vice-sultan. At last, an-Nasir was recalled and he arrived with his mother in Cairo amid widespread celebration by its population. An-Nasir, who was by now 14 years old, was re-installed with Seif ad-Din Salar, who was an Oirat Mongol  as vice-Sultan and Baibars al-Jashnakir who was a Circassian as Ostadar. An-Nasir was, again, a nominal Sultan, with the actual rulers being Salar and Baibars al-Jashnakir. The Burji Mamluks became more powerful during the second reign of an-Nasir Muhammad. They imposed taxes on people who needed their services or their protection. This official bribery was called " Himayah". The rivals of the Burjis, who were led by Baibars al-Jashnakir, were the Salihiyya and the Mansuriyya Emirs led by Salar and al-Ashrafiyy led by Emir Barlghi. 1299, The Battle of Wadi al-Khazandar. News reached Cairo that Ghazan was preparing to attack the Levant with a big army and about 30 Crusade ships arrived in Beirut. The Emirs decided to send forces from Egypt to Syria. While the crusader ships were destroyed by a storm before the crusaders could get ashore, Ghazan, after arriving in Baghdad had to change his plan after one of his commanders named Solamish Ben Afal fled to Egypt and asked for help to fight him. In 1299 Sultan An-Nasir led the Egyptian Army to Syria to take on the army of Ghazan. While the Sultan was on his way to Syria, some Oirats conspired with a mamluk of the Sultan to kill Baibars al-Jashnakir and Salar in order to bring Kitbugha who was in Hama back to power. The sultan's mamluk attacked Baibars al-Jashnakir and tried to kill him but he was himself killed. The Oirats attacked the Dihliz of the Sultan but they were stopped in a way that made Salar and Baibars think the Sultan was involved in the conspiracy. The Oirats were arrested and punished and the mamluks who were involved were sent to Al Kark. The army of an-Nasir (about 20.000 soldiers) clashed with Ghazan’s army (about 100.000 soldiers) in a battle that became known as the Battle of Wadi al-Khazandar. 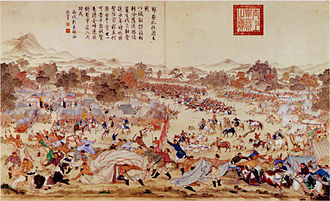 An-Nasir's army was defeated with relatively low casualties (200 to 1000 men ) after inflicted major casualties on Ghazan's army ( about 14000 casualties). An-Nasir's forces retreated to Homs followed by the army of Ghazan. An-Nasir left for Egypt and Ghazan took Homs. Many of the population of Damascus fled towards Egypt. The leaders of Damascus appealed to Ghazan not to kill the remaining population of the city. Ghazan arrived at the outskirts of Damascus and his soldiers looted the city. Damascus, with the exception of its citadel, submitted to the Mongol commander Qubjuq and Ghazan’s name was mentioned during the Friday prayer at the main mosque of Damascus as: " al-Sultan al-Azam Sultan al-Islam wa al-Muslimin Muzafar al-Donya wa al-Din Mahmud Ghazan ". The Mongols kept looting Syrian villages, towns and Damascus itself. In Egypt, the defeated soldiers of an-Nasir kept arriving in disorder. The deposed Sultan Kitbugha, who was in Syria, also fled to Egypt. Cairo became overcrowded as many Syrians refugees fled to there. An-Nasir Mohammad and the Emirs began to prepare for a new march to the Levant. Money, horses and arms were collected from all over Egypt. An attempt to reuse an old Fatwa which was issued during the reign of Sultan Qutuz which obliged each Egyptian to pay one dinar to support the army failed. Therefore, it was decided that the Egyptian people should pay voluntarily and not by force of law. But suddenly the news arrived in Cairo that Ghazan had left the Levant after he had installed two of his commanders as his deputes there. Sultan an-Nasir sent letters to Ghazan's deputies asking them to submit to him and they agreed. Kitbugha was granted the post of the governor of Hama and Salar and Baibars al-Jashnakir travelled with an army to the Levant to liquidate the remaining forces of Ghazan. The Druze who attacked and looted an-Nasir's soldiers during their retreat to Egypt were attacked at their strongholds and they were forced to give back the weapons and the properties which they had taken from the retreating soldiers. The submitted deputies arrived in Egypt and were received by an-Nasir Muhammad. The name of Sultan an-Nasir was mentioned again at the Syrian mosques. He was again the sovereign of the Levant. In addition to Mongols threats in the Levant, the second reign of an-Nasir Muhammad also witnessed disturbances inside Egypt. There were religious riots in Cairo and rebellions in Upper Egypt which were harshly suppressed. In 1301 parts of Armenian Cilicia were looted and Sis was attacked by an-Nasir's forces led by his Emirs as the Armenians tried to support Ghazan. In 1302 the crusader-held island of Arwad was attacked and ransacked because the crusaders had been using it as a base for attacks on Muslim shipping. In 1308 Sultan an-Nasir Muhammad permitted the Georgians to celebrate on Calvary and probably in that year allowed two of them to stay closed in at the Church of the Holy Sepulchre. Ghazan (center) converting to Islam. In 1303 Ghazan's army crossed the Euphrates River and marched towards Syria. The Syrians fled from Aleppo and Hama to Damascus. An Egyptian force led by Baibars Al-Jashnakir arrived in Damascus. The population of Damascus wanted to flee but they were warned that they would be killed and their money would be seized if they tried do that. 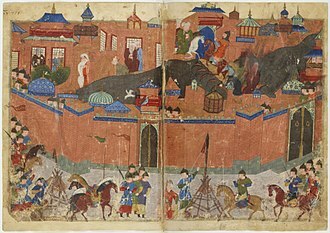 Ghazan's troops attacked Turkmen villages and took women and children as prisoners but the Sultan's forces led by his Emirs clashed with the Mongols and freed about 6000 Turkmen after they destroyed the Mongol force. On April, 20, an-Nasir Muhammad and the Caliph arrived in Syria from Egypt and while the Emirs were greeting them, news reached them that a Mongol army of 50.000 soldiers led by Qutlugh-Shah, the deputy of Ghazan, was approaching. An-Nasir and the Emirs decided to fight the Mongol forces at Marj al-Saffar. The Caliph who stood beside the sultan at the heart of the army exclaimed to the soldiers: " Warriors, do not worry about your Sultan but worry about your women and the religion of your Prophet ". A force of about 10,000 men led by Qutlugh-Shah attacked the right flank of an-Nasir's army but units led by Baibars and Salar gave their support and pushed Qutlugh-Shah back. There was confusion on the battleground as many thought that an-Nasir's army had been defeated when they saw the Mongols passing the right flank of an-Nasir's army. Qutlugh-Shah withdrew to a mountain also believing that he had won. But from his position on the mountain he saw the army of an-Nasir standing firm on the left flank and his soldiers were filling the field. Qutlugh-Shah was puzzled and asked an Egyptian Emir who was taken prisoner about the army which he was seeing. The Emir answered him that it was the army of the Sultan of Egypt. Qutlugh-Shah was shocked as he did not know that an-Nasir has arrived with the Egyptian army. When Qutlugh-Shah saw his army defeated and fleeing he too fled at sunset. Next morning Qutlugh-Shah returned to the battlefield but he was defeated again. His third offensive happened early in the morning of the third day but his army was utterly annihilated. Only a small number of the Mongols survived. When Ghazan heard about the defeat of his army it was said that he was so upset that he suffered a severe hemorrhage and he died a year later. An-Nasir Muhammad returned to Egypt to great celebrations. Cairo was decorated from Bab al-Nasr (Victory Gate) to Qal'at al-Jabal  The prominent Egyptian Mamluk historian Baibars al-Dewadar  was present at the battle of Marj al-Saffar. In 1304 Sis was raided again by an-Nasir's Emirs and a group of Mongols led by a prominent commander named Badr ad-Din Albaba were brought to Egypt and welcomed by an-Nasir in Cairo. Al-Madrasah Al-Nasiryah had the gate of the Cathedral of Acre installed which al-Ashraf Khalil had brought to Egypt in 1291. During 1304 an-Nasir's son Ali was born. By 1309 An-Nasir Muhammad was no longer willing to be dominated by Salar and Baibars al-Jashnakir. He informed them that he was going to Mecca for a pilgrimage but, instead, he went to Al Kark and stayed there ending his second reign. But an-Nasir did not actually mean to resign. 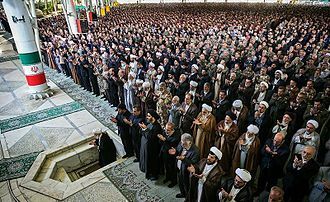 He knew he would not be able to rule while Baibars al-Jashnakir and Salar were in power as sooner or later they would depose him or even kill him. An-Nasir tried to arrest Baibars and Salar  but when he failed he calculated that he would be able to make new alliances with the Sultanate deputies in the Levant who could offer him support against the two Emirs for a return later to Egypt. When an-Nasir refused to go back to Egypt, Baibars al-Jashnakir installed himself as the Sultan of Egypt with Salar as his vice-Sultan. Brass tray stand, Egypt or Syria, in the name of an-Nasir Muhammad ibn Qalaun, 1330-40.British Museum. Baibars al-Jashnakir ruled Egypt for ten months and 24 days. His reign was marked by social unrest and threats from the Mongols and the Crusaders. The population of Egypt, who hated him, demanded the return of their beloved Sultan an-Nasir Muhammad. Baibars al-Jashnakir was forced to step down and flee from the angry mob. An-Nasir returned to Egypt. During his first reign he was dominated by Kitbugha and al-Shuja'i and during his second reign he was dominated by Baibars al-Jashnakir and Salar. An-Nasir, who was now 24 years old, was determined not to be dominated or deprived of his full rights as a sultan by any emir. An-Nasir executed Baibars al-Jashnakir  and accepted the resignation of Salar as vice Sultan and replaced him with Baktmar al-Jukondar. Then after a year he arrested Salar and he died shortly thereafter in prison. The Mamluks and properties of both Baibars and Salar were seized. In 1310 the vice-Sultan Baktmar and Emir Bikhtas conspired to overthrow an-Nasir and replace him with Emir Musa, the son of as-Salih Ali who was the son of Qalawun. Musa agreed to participate in the conspiracy, but the conspiracy was revealed to an-Nasir by an emir and both Bikhtas and Musa were arrested. The vice-Sultan Baktmar al-Jukondar was arrested a year later after being accused of plotting to overthrow an-Nasir and take the throne for himself. Baibars al-Dewadar became the new vice-Sultan. Because of his experience with the Emirs and their plots, an-Nasir Muhammad became very suspicious and very sensitive to criticism. He even exiled the Caliph to Qus in 1338. Slowly but systematically an-Nasir Muhammad increased his power as Sultan and took revenge on the emirs who had mistreated him in the past and on the emirs who plotted against him after his return to Egypt. He abolished a few official positions, seized the wealth and property of corrupt officials, discharged the Oirat Mongols from royal service and annulled the exceptional taxes and surcharges (Mikoos)  which were imposed on the common people by the authorities and which enriched officials and made the emirs more powerful. He employed Emir Ibn al-Waziri, a man who was known to be tough on corruption, as the head of Dar al-Adl (Court of Justice)  and every Monday the Sultan would listen to complaints from the common people against the officials and the emirs. He prohibited his governors from executing or physically punishing convicts without his permission and he shut an infamous prison that was near the Citadel. In 1314 he abolished the post of vice-Sultan. In 1315 he carried out a land survey to re-establish the amount of the taxes which the land owners and the landlords had to pay to the state. During the third reign of an-Nasir Muhammad, Egypt did not witness any major external threats as both the Crusaders and the Mongols had been weakened by losses in battle and their internal conflicts. However, Mongol ruler Oljeitu besieged Mamluk fortresses but withdrew due to deadly summer heat in 1312-1313. In 1314 the city of Malatya was captured by Tunkuz, the deputy of an-Nasir in the Levant. Sis and other towns were raided by the an-Nasir's forces. Inside Egypt, there were a few disorders in Upper Egypt due to law breaking activities by Arab tribesmen which were easily subdued. In February 1321, there was a serious disturbance between the Egyptian Muslim and Christian communities which developed after a few Christian churches were destroyed simultaneously in various parts of Egypt. This was followed by a series of fires at mosques and other buildings in Cairo. A few Christians were arrested as a result of these disturbances. 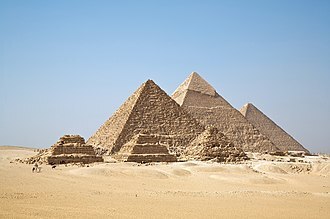 Though the economy of Egypt flourished during the third reign of an-Nasir, there were financial problems and a rise in prices caused by the circulation of underweight and alloyed coins. An-Nasir minted a few thousands new coins to replace the spurious coins. Under an-Nasir Muhammad the position of Egypt as a political power grew. Foreign delegations and kings' envoys with gifts visited Cairo frequently seeking the help and the friendship of an-Nasir. Among these visits were envoys from Pope John XXII and King Philip VI of France. The Papal envoys arrived in Cairo in June 1327 with a gift and a letter from the Pope who appealed to an-Nasir to treat the Christians well and to protect the Christian holy places and to stop his attacks against Sis. Those were the first envoys of a Pope to go to Egypt since the time of Sultan as-Salih Ayyub. In February 1330, King Philip VI sent a delegation of 120 men who appealed to an-Nasir to grant Philip the city of Jerusalem and surrounding areas along the Levantine Coast. An-Nasir reacted by insulting the French envoys and their King and ordered them to leave Egypt. Sultan an-Nasir Muhammad - Qalawun Mosque, Cairo. An-Nasir Muhammad's long reign marked the apogee of Mamluk power and the high-water mark of culture in Egypt since Ptolemaic Alexandria. Extraordinary public works were set in motion. He redug once again the canal connecting Alexandria with the Nile: it was opened to traffic in 1311 and required workforces on a Pharaonic scale. Some of his marvelous works in Cairo were the huge square that was called al-Midan al-Nasiri, Qasr al-Ablaq (al-Ablaq Palace) and the restructuring of the Iwan which was built by his father Qalawun. In addition, he built Madrasas, magnificent public baths and renovated more than thirty mosques  which belonged to the most splendid examples of Islamic architecture. His own Mosque in the Citadel which stands until today was decorated with stone brought in triumph from the ruined cathedral of Acre. He also added to his father's complex of structures Cairo's first sabeel, a fountain for the use of all, especially welcome to the poor who might not have access to a well. The Sultan of Egypt at the time of my entry was al-Malik an-Nasir Abu'l Fath Muhammad, son of al-Malik al-Mansur Saif al-Din Qala-un al-Salihi. Qala'un was known as al-Alfi ['the Thousand-man'] because al-Malik al-Salih bought him for a thousand dinars of gold. He came originally from Qifjaq [Kipchak]. Al-Malik an-Nasir (God's mercy upon him) was a man of generous character and great virtues, and sufficient proof of his nobility is furnished by his devotion to the service of the two holy sanctuaries [of Mecca and Medina] and the works of beneficence which he does every year to assist the pilgrims, in furnishing camels loaded with provisions and water for those without means and the helpless, and for carrying those who cannot keep up with the caravan or are too weak to walk on foot, both on the Egyptian pilgrim-road and on that from Damascus. He also built a great convent at Siryaqus, in the outskirts of Cairo. Emblems: Eagle, Flower, lily, Bundel (symbol of the Jomdar who was an official of the department at the Sultan's clothing). 2nd reign: coins had an-Nasir's name inscribed as al-Sultan al-Malik an-Nasir Nasir ad-Donya wa al-Din. Also a title of his father Qalawun was inscribed on his coins as: al-Malik al-Mansur. 3rd reign: an-Nasir Muhammad had on his coins the following remarkable titles which are unique in Mamluk's history: " al-Sultan al-Malik al-Nasir Nasir al-Din wa al-Donia (The Sultan King an-Nasir triumphant in faith and temporal world) ", " al-Sultan al-Malik al-Azam (The Greatest Sultan King)", " al-Sultan al-Malik Nasir al-Donya wa al-Din Qasim Amir al-Mu'amimin (The Sultan King triumphant in temporal world and in faith, the one who shares with the Emir of faithfuls (the Caliph))". Unique beseeching phrases that were inscribed on his coins were: " Azz Nasroh (May his victories be glorified)" and " khalad Allah Mulkoh wa Sultanoh (May God makes his kingdom and his Sultanate eternal)". The prominent Mamluk historian Ibn Iyas wrote the following about Al-Nasir Muhammad: " His name was mentioned everywhere like no other king's name. All the kings wrote to him, sent gifts to him and feared him. The whole of Egypt was in his grasp "
^ "al-Nāṣir Muḥammad ibn Qalāwūn". ^ Gülru Necipoğlu (1 August 1994). Muqarnas: An Annual on Islamic Art and Architecture. BRILL. pp. 61–. ISBN 90-04-10070-9. ^ Qal'at al-Jabal (Citadel of the Mountain), the abode and court of the sultan in Cairo. It stood on the Muqatam mountain where the Mosque of Muhammad Ali of Egypt|Muhammad Ali stands now. ^ Waddy, Charis (1980). Women in Muslim History. Longman. p. 103. ISBN 978-0582780842. Retrieved 21 September 2015. ^ Ostadar ( أستادار ), supervisor of the royal kitchen and everything connected to the food and drink of the Sultan. ^ al-Sultan al-Azam Sultan al-Islam wa al-Muslimin Muzafar al-Donya wa al-Din Mahmud Ghazan means : The Greatest Sultan, the Sultan of Islam and of Muslims, the victorious in life and in faith, Mahmud Ghazan. ^ "3 - The Church of the Holy Sepulchre". ^ The Abbasid Caliph al-Mustakfi Billah (Solayman ben Ahmad ben Ali) he succeeded his father al-Hakim Bi'amr-Ellah in 1302 and stayed a Caliph for 39 years. -(Al-Maqrizi,p.346/vol.2). * After the sack of Baghdad and the murder of the Abbasid Caliph al-Mustasim by the Mongols in 1258, Sultan Baibars al-Buduqdari installed an Abbasid Caliphate in Cairo. ^ See above note on Baibars al-Dewadar. ^ Dar al-Adl ( Court of Justice ). The Mamluks had also Mahkamat al-Mazalim ( Court of complaint ) which was a court that heard cases of complaints of people against state officials and Emirs. This court was headed by the sultan himself. ^ al-Midan al-Nasiri, (The Nasiri Square ) was used for horse racing, It was situated in the present-day district of Garden-City. An-Nasir Muhammad was known to be very fond of horses. Al-Maqrizi, al-Mawaiz wa al-'i'tibar bi dhikr al-khitat wa al-'athar,Matabat aladab,Cairo 1996, ISBN 977-241-175-X. Reuven Amitai-Preiss, Mamluks and Mongols: an overview, Chapter 10 of his Mongols and Mamluks: The Mamluk-Ilkhanid War, 1260–1281, Cambridge University Press, 1995. Al-Ashraf Salāh ad-Dīn Khalil ibn Qalawūn, was the eighth Mamluk sultan between November 1290 until his assassination in December 1293. He was well known for conquering the last of the Crusader states in Palestine in the capture of Acre in 1291, Khalils exact year of birth is not known, although according to the Mamluk-era historian, Khalil ibn Aybak as-Safadi, he died in his thirties or less. He was the second eldest son of Sultan Qalawun and his mother was a woman named Qutqutiya, Khalil had three brothers, as-Salih Ali, an-Nasir Muhammad and Ahmad, and two sisters. In 1284, Khalil married Ardukin, the daughter of Sayf ad-Din Nukih ibn Bayan, Khalil had two daughters with Ardukin, who are unnamed in the Mamluk sources. Qalawun had proclaimed as-Salih Ali as his heir apparent in 1280, from that point on, as-Salih Alis name was added next to Qalawuns name in treaties. Khalils name began to be added to treaties in the style of al-Malik al-Ashraf starting in 1285 in the treaty between Qalawun and the king of Lesser Armenia. When as-Salih Ali died in 1288, Qalawun appointed al-Ashraf Khalil as his co-sultan, while al-Ashraf Khalils name was read alongside Qalawuns name in the khutba and the emirs swore their allegiance to him, Qalawun did not sign the ahd confirming al-Ashraf Khalils appointment. Al-Ashraf Khalil succeeded Qalawun following the death on 9 November 1290. He prevented Qalawuns burial for two months, either as a precaution to ensure his succession or to wait until Qalawuns mausoleum was completed. With his ascendancy, al-Ashraf Khalil absorbed his fathers roughly 6,000 Mansuriyya mamluks into his own 1, 200-strong, mostly Circassian, mamluk corps, the Mansuriyya were the most powerful mamluk regiment in the sultanate and al-Ashraf Khalil sought to co-opt them. In the royal procession that following al-Ashraf Khalils accession to the throne, Turuntay launched an attempt against al-Ashraf Khalil. Instead, al-Ashraf Khalil had Turuntay imprisoned in the Cairo Citadel, after being heavily tortured for three days, Turuntay was put to death in November. He was briefly replaced by Emir Sanjar al-Shujai until the latter was dispatched to Damascus, Al-Ashraf Khalil made Baydara naib as-saltana and atabeg al-asakir. The frequent exchanging of offices between the Mansuri emirs and their frequent imprisonment and release was a phenomenon that marked al-Ashraf Khalils three-year reign, Qalawun had conquered the County of Tripoli in 1289 and made clear his determination to end the Crusader presence in Syria. In November 1290, he began his march toward Acre, the capital of the Kingdom of Jerusalem, with the siege plans having already been prepared by Qalawun and his lieutenants, al-Ashraf Khalil resumed his fathers offensive on 2 March 1291. The other Syrian Mamluk armies were from Damascus, Tripoli and al-Karak, there are no reliable figures for the size of the Mamluk army, but it was likely a significantly larger force than that of the Crusader defenders of Acre. In May 1291, al-Ashraf Khalils army launched the assault against Acre, heavy fighting ensued with the Knights Templar, which controlled the fortress. Jumuah, is a congregational prayer that Muslims hold every Friday, just after noon instead of the Zuhr prayer. Muslims pray ordinarily five times each day according to the suns sky path regardless of time zones and it is mentioned in the Quran, O ye who believe. When the call is proclaimed to prayer on Friday, hasten earnestly to the Remembrance of Allah, and leave off business, That is best for you if ye but knew. And when the Prayer is finished, may ye disperse through the land, and seek of the Bounty of Allah, and celebrate the Praises of Allah often, that ye may prosper. Muslim ibn al-Hajjaj an-Naysaburi relates that the Islamic prophet Muhammad used to read Surah 87 and Surah 88, in Eid Prayers, if one of the festivals fell on a Friday, Muhammad would have made sure to read these two Surahs in the prayers. Muhammad is quoted as saying “The best day the sun rises over is Friday, on it Allah created Adam. On it, he was made to enter paradise, on it he was expelled from it, Muhammed said “Any Muslim who dies during the day or night of Friday will be protected by Allah from the trial of the grave. ”. The jumuʿah prayer is half the ẓuhr prayer, for convenience, preceded by a khuṭbah, in most cases the khaṭīb serves as the imam. Attendance is strictly incumbent upon all adult males who are residents of the locality. The muezzin makes the call to prayer, called the adhan, when the khaṭīb takes his place on the minbar, a second adhan is made. The khaṭīb is supposed to deliver two sermons and sitting briefly between them, in practice, the first sermon is longer and contains most of the content. The second sermon is very brief and concludes with a dua and this signals the start of the main two rakat prayer of Jumuah. Friday prayers consists of 2 Rakats like Fajr prayers, the difference between these two prayers is that Namaz-e-Jumuah has two sermons before it. Namaz-e-Jumuah is Wajib Takhyiri, which means that we have an option to offer Jumuah prayers, if its necessary conditions are fulfilled, hence, if Namaz-e-Jumuah is offered it is not necessary to offer Zuhr prayer. 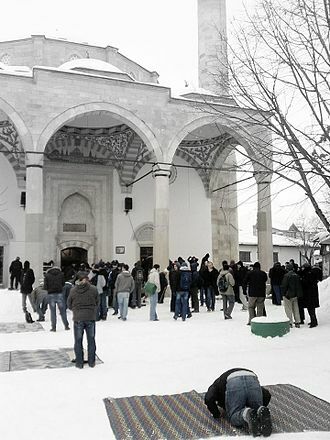 If the distance between the two mosques is one Farsakh or more, the prayers are in order, Friday prayer is Wajib Takhyiri, which means that we have an option to offer Jumuah prayers, if its necessary conditions are met or to offer Zuhr prayers. The Mongols are an East-Central Asian ethnic group native to Mongolia and Chinas Inner Mongolia Autonomous Region. They live as minorities in other regions of China, as well as in Russia, Mongolian people belonging to the Buryat and Kalmyk subgroups live predominantly in the Russian federal subjects of Buryatia and Kalmykia. The Mongols are bound together by a heritage and ethnic identity. Their indigenous dialects are known as the Mongolian language. The ancestors of the modern-day Mongols are referred to as Proto-Mongols, broadly defined, the term includes the Mongols proper, Oirats, the Kalmyk people and the Southern Mongols. The latter comprises the Abaga Mongols, Aohans, Gorlos Mongols, Jaruud, Khuuchid, the designation Mongol briefly appeared in 8th century records of Tang China to describe a tribe of Shiwei. It resurfaced in the late 11th century during the Khitan-ruled Liao dynasty, after the fall of the Liao in 1125, the Khamag Mongols became a leading tribe on the Mongolian Plateau. However, their wars with the Jurchen-ruled Jin dynasty and the Tatar confederation had weakened them, in the thirteenth century, the word Mongol grew into an umbrella term for a large group of Mongolic-speaking tribes united under the rule of Genghis Khan. In various times Mongolic peoples have been equated with the Scythians, the Magog, based on Chinese historical texts the ancestry of the Mongolic peoples can be traced back to the Donghu, a nomadic confederation occupying eastern Mongolia and Manchuria. The identity of the Xiongnu is still debated today, although some scholars maintain that they were proto-Mongols, they were more likely a multi-ethnic group of Mongolic and Turkic tribes. It has been suggested that the language of the Huns was related to the Hünnü, the Donghu are mentioned by Sima Qian as already existing in Inner Mongolia north of Yan in 699–632 BCE along with the Shanrong. Mentions in the Yi Zhou Shu and the Classic of Mountains, the Xianbei chieftain was appointed joint guardian of the ritual torch along with Xiong Yi. These early Xianbei came from the nearby Zhukaigou culture in the Ordos Desert, where maternal DNA corresponds to the Mongol Daur people, the Zhukaigou Xianbei had trade relations with the Shang. In the late 2nd century, the Han dynasty scholar Fu Qian wrote in his commentary Jixie that Shanrong, againm in Inner Mongolia another closely connected core Mongolic Xianbei region was the Upper Xiajiadian culture where the Donghu confederation was centered. After the Donghu were defeated by Xiongnu king Modu Chanyu, the Xianbei, tadun Khan of the Wuhuan was the ancestor of the proto-Mongolic Kumo Xi. The Wuhuan are of the direct Donghu royal line and the New Book of Tang says that in 209 BCE, the Xianbei, were of the lateral Donghu line and had a somewhat separate identity, although they shared the same language with the Wuhuan. In 49 CE the Xianbei ruler Bianhe raided and defeated the Xiongnu, killing 2000, the Xianbei reached their peak under Tanshihuai Khan who expanded the vast, but short lived, Xianbei state. The Citadel of Damascus is a large medieval fortified palace and citadel in Damascus, Syria. It is part of the Ancient City of Damascus, which was listed as a UNESCO World Heritage Site in 1979, after the assassination of Atsiz bin Uvak, the project was finished by the Seljuq ruler Tutush I. The emirs of the subsequent Burid and Zengid dynasties carried out modifications, during this period, the citadel and the city were besieged several times by Crusader and Muslim armies. In 1174, the citadel was captured by Saladin, the Ayyubid sultan of Egypt, Saladins brother Al-Adil rebuilt the citadel completely between 1203 and 1216 in response to the development of the counterweight trebuchet. After his death, power struggles broke out between the other Ayyubid princes and although Damascus switched hands several times, the citadel was taken by force only once, in 1239. The citadel remained in Ayyubid hands until the Mongols under their general Kitbuqa captured Damascus in 1260, after an unsuccessful revolt broke out in the citadel, the Mongols had most of it dismantled. 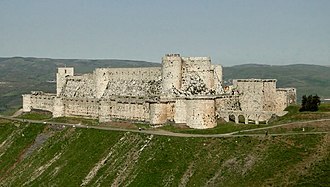 After the defeat of the Mongols in 1260 by the Mamluks, except for brief periods in 1300 and 1401, when the Mongols conquered Damascus, the Mamluks controlled the citadel until 1516. In that year, Syria fell into the hands of the Ottoman Empire, Damascus surrendered without a fight and from the 17th century onward the citadel functioned as barracks for the Jannisaries—Ottoman infantry units. The citadel continued to serve as a barracks and prison until 1986, as of 2011, excavation and restoration efforts are still ongoing. The citadel is located in the northwest corner of the city walls, the citadel consists of a more or less rectangular curtain wall enclosing an area of 230 by 150 metres. The walls were protected by 14 massive towers, but today only 12 remain. The citadel has gates on its northern and eastern flanks, the current citadel dates primarily to the Ayyubid period while incorporating parts of the older Seljuq fortress. 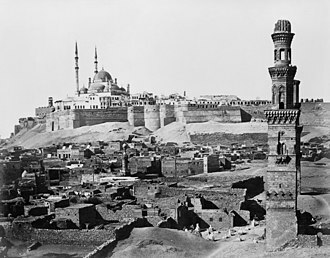 Extensive repairs in response to sieges and earthquakes were carried out in the Mamluk and it is uncertain whether a building stood on the site of the citadel before the 11th century AD. The Druze are an esoteric ethnoreligious group originating in Western Asia who self-identify as unitarians. Jethro of Midian is considered an ancestor of all Mandaeans and Mahra from Druze Mountain, the Druze faith is a monotheistic and Abrahamic religion based on the teachings of Hamza ibn-Ali, al-Hakim, Aristotle and Akhenaten. The Epistles of Wisdom is the text of the Druze faith. The Druze follow theophany, and believe in reincarnation or the transmigration of the soul, at the end of the cycle of rebirth, which is achieved through successive reincarnations, the soul is united with the Cosmic Mind. Although dwarfed by other, larger communities, the Druze community played an important role in shaping the history of the Levant, even though the faith originally developed out of Ismaili Islam, Druze are not considered Muslims. Fatimid Caliph Ali az-Zahir, whose father al-Hakim is a key figure in the Druze faith, was harsh, causing the death of many Druze in Antioch, Aleppo. Persecution flared up during the rule of the Mamluks and Ottomans, most recently, Druze were targeted by the Islamic State of Iraq and the Levant and Al-Qaeda in order to cleanse Syria and neighboring countries of non-Islamic influence. The Druze faith is one of the religious groups in the Levant. They are found primarily in Syria and Israel, with communities in Jordan. The oldest and most densely-populated Druze communities exist in Mount Lebanon, the Druze people reside primarily in Syria, Lebanon and Jordan. The Institute of Druze Studies estimates that forty to fifty percent of Druze live in Syria, thirty to forty percent in Lebanon, six to seven percent in Israel, about two percent of the Druze population are scattered within other countries in the Middle East. Large communities of Druze live outside the Middle East, in Australia, Europe, Latin America, the United States and they use the Arabic language and follow a social pattern very similar to those of the other peoples of the Levant. The number of Druze people worldwide is between 800,000 and one million, with the vast majority residing in the Levant, the name Druze is derived from the name of Muhammad bin Ismail Nashtakin ad-Darazī who was an early preacher. Although the Druze consider ad-Darazī a heretic, the name has been used to identify them, before becoming public, the movement was secretive and held closed meetings in what was known as Sessions of Wisdom. Hama is a city on the banks of the Orontes River in west-central Syria. It is located 213 km north of Damascus and 46 kilometres north of Homs and it is the provincial capital of the Hama Governorate. With a population of 854,000, Hama is the fourth-largest city in Syria after Aleppo, the city is renowned for its seventeen norias used for watering the gardens, which are locally claimed to date back to 1100 BC. Though historically used for purpose of irrigation, the norias exist today as an almost entirely aesthetic traditional show, in the last decades, the city of Hama has become known as a center of the anti-Baath opposition in Syria, most notably the Muslim Brotherhood. The city was again the site of conflict between the Syrian military and opposition forces as one of the main arenas of the Syrian civil war during the 2011 siege of Hama. The ancient settlement of Hamath was occupied from the early Neolithic to the Iron Age, remains from the Chalcolithic have been uncovered by Danish archaeologists on the mount on which the former citadel once stood. The excavation took place between 1931 and 1938 under the direction of Harald Ingholt, the stratigraphy is very generalized, which makes detailed comparison to other sites difficult. Level M contained both white ware and true pottery and it may be contemporary with Ras Shamra V. The overlying level L dates to the Chalcolithic Halaf culture, mitanni was subsequently overthrown by the Hittites, who controlled all of northern Syria following the famous Battle of Kadesh against Ancient Egypt under Ramesses II near Homs in 1285. 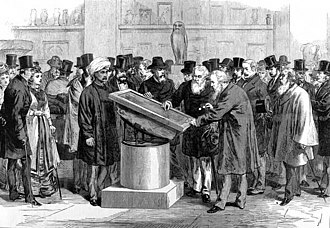 In early 19th century, Johann Ludwig Burckhardt was the first to discover Hittite or Luwian hieroglyphic script at Hama, the site shows Assyrian and Aramaean settlement. When the Assyrian king Shalmaneser III conquered the north of Aramea reached Hamath in 835 BC, irhuleni of Hamath and Hadadezer of Aram-Damascus led a coalition of Aramean cities against the encroaching Assyrian armies. According to Assyrian sources, they were confronted by 4000 chariots,2000 horsemen,62, the Assyrian victory seems to have been more of a draw, although Shalmaneser III continued on to the shore and even took a ship to open sea. In the following years, Shalmaneser III failed to conquer Hamath or Aram-Damascus, after the death of Shalmaneser III, the former allies Hamath and Aram-Damascus fell out, and Aram-Damascus seems to have taken over some of Hamaths territory. An Aramaic inscription of Zakkur, dual king of Hamath and Luhuti, tells of an attack by a coalition including Samal under Ben-Hadad III, son of Hazael, zakir was besieged in his fortress of Hazrak, but saved by intervention of the God Baalshamin. Later on, the state of Samal came to rule both Hamath and Aram, in 738 BC, Hamath is listed among the cities again conquered by Assyrian troops. 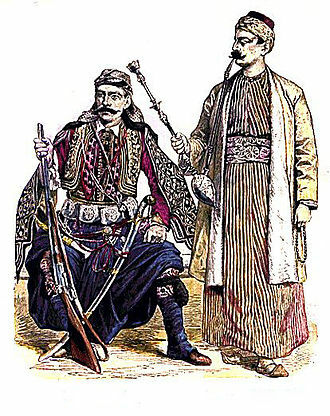 Over 30,000 natives were deported to Ullaba and replaced with captives from the Zagros Mountains, after the fall of the northern kingdom of Israel, Hamaths king Ilu-Bidi led a failed revolt of the newly organized Assyrian provinces of Arpad, Simirra and Samara. Styling himself the Destroyer of Hamath, Sargon II razed the city ca 720 BCE, recolonized it with 6,300 Assyrians and he carried off to Nimrud the ivory-adorned furnishings of its kings. A vizier is a high-ranking political advisor or minister. In modern usage, the term has been used for ministers in the Arab world, Turkey, East Africa Afghanistan, India and Uzbekistan. It is used in the only absolute Asian monarchy. It is given to the current King Hassanal Bolkiahs second brother, in Brunei, an ordinary vizier is known as Pengiran Temenggong. The word entered into English in 1562 from the Turkish vezir, Wazir itself has two possible etymologies, The most accepted etymology is that it is derived from the Arabic wazara, from the Semitic root W-Z-R. The word is mentioned in the Quran, where Aaron is described as the wazir of Moses, on the other hand, the presence of a Middle Persian word vizīr or vicīr, cognate to the Avestan vīcira, meaning decreer or arbitrator, could possibly indicate an Indo-European origin. In modern Turkey, there is no usage of vezir for any ministry as suggested in the description above, the Muslim office of vizier, which spread from the Persians, Turks and Mongols and neighboring peoples, arose under the first Abbasid caliphs. The vizier stood between sovereign and subjects, representing the former in all matters touching the latter, if one such vizier is the prime minister, he may hold the title of Grand Vizier or another title. In Al-Andalus appointed by the Caliph of Cordoba, similarly in many of the emirates and sultanates of the taifas which the caliphate was broken up into. In Muslim Egypt, the most populous Arab country, Under the Fatimid Caliphs. Again since the end of Ottoman rule, remarkably since 1857 (i. e. before the last Wali, Ismail Pasha, was raised Khedive. During the days of the Ottoman Empire, the Grand Vizier was the—often de facto minister, second only to the Sultan and was the leader of the Divan. Vizier was the title of some Ottoman provincial governors, use of the title indicating a greater degree of autonomy for the province involved. In the Sherifian kingdom of Morocco, a Sadr al-Azam was in office until 22 November 1955, Grand Vizier, Chief Minister or Prime Minister. Wazir al-Amala, Minister for the Interior, Wazir al-Bahr, Minister of the Sea, i. e.
Syrias capital and largest city is Damascus. Religious groups include Sunnis, Alawites, Mandeans, Salafis, Sunni Arabs make up the largest religious group in Syria. Its capital Damascus and largest city Aleppo are among the oldest continuously inhabited cities in the world, in the Islamic era, Damascus was the seat of the Umayyad Caliphate and a provincial capital of the Mamluk Sultanate in Egypt. The post-independence period was tumultuous, and a number of military coups. In 1958, Syria entered a union with Egypt called the United Arab Republic. Syria was under Emergency Law from 1963 to 2011, effectively suspending most constitutional protections for citizens, Bashar al-Assad has been president since 2000 and was preceded by his father Hafez al-Assad, who was in office from 1970 to 2000. Mainstream modern academic opinion strongly favours the argument that the Greek word is related to the cognate Ἀσσυρία, Assyria, in the past, others believed that it was derived from Siryon, the name that the Sidonians gave to Mount Hermon. However, the discovery of the inscription in 2000 seems to support the theory that the term Syria derives from Assyria. The area designated by the word has changed over time, since approximately 10,000 BC, Syria was one of centers of Neolithic culture where agriculture and cattle breeding appeared for the first time in the world. The following Neolithic period is represented by houses of Mureybet culture. At the time of the pre-pottery Neolithic, people used vessels made of stone, finds of obsidian tools from Anatolia are evidences of early trade relations. Cities of Hamoukar and Emar played an important role during the late Neolithic, archaeologists have demonstrated that civilization in Syria was one of the most ancient on earth, perhaps preceded by only those of Mesopotamia. The earliest recorded indigenous civilisation in the region was the Kingdom of Ebla near present-day Idlib, gifts from Pharaohs, found during excavations, confirm Eblas contact with Egypt. One of the earliest written texts from Syria is an agreement between Vizier Ibrium of Ebla and an ambiguous kingdom called Abarsal c.2300 BC. Buddhist lama in Mongolia near Ulaanbaatar, probably Sodnomyn Damdinbazar. Aqueduct in Epiphania (= Hama). Ghazan (center) was born as a Buddhist, and converted to Islam as part of a military agreement upon accession to the throne. Ghazan mounted on a horse. Romantic 18th century drawing of ancient Emesa, by Louis-François Cassas. Kipchak portrait in a 12th-century balbal in Luhansk. For several years, Abu Bakr was based in the desert fortress of al-Karak (pictured), where he gained military training and briefly served as governor.